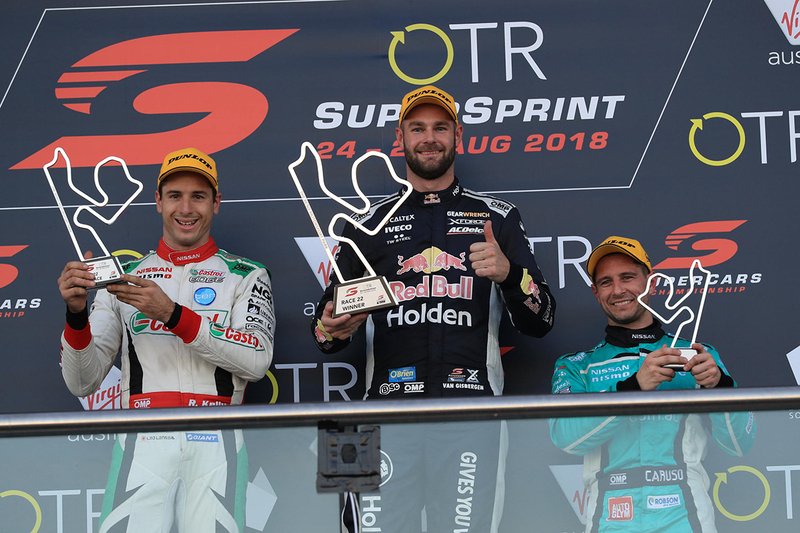 Shane van Gisbergen ate further into Scott McLaughlin's Virgin Australia Supercars Championship lead, with victory in the opening leg of the inaugural OTR SuperSprint. The new South Australian circuit hosted its very first Supercars race, the 24-lap affair the 22nd of the 2018 season. 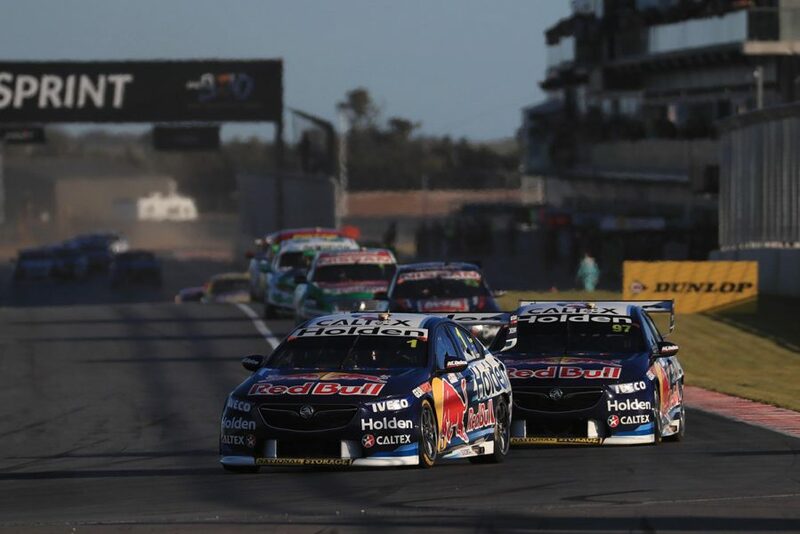 Van Gisbergen moved ahead of team-mate Jamie Whincup just before an early Safety Car period and, crucially, avoided having to double-stack in the pitstops. He controlled the race from there, a 6.2602-second victory his sixth of 2018 and fourth in the last races. Nissan pair Rick Kelly and Michael Caruso rounded out the podium, while McLaughlin finished sixth. 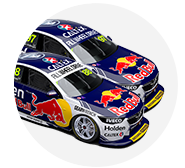 With those results, McLaughlin's points lead over van Gisbergen is trimmed from 89 points to 41. Polesitter Whincup won the jump off the line to lead van Gisbergen through Turn 1 and keep the lead. The factory ZBs pulled effortlessly away from the pack, to be four seconds clear of Caruso and Kelly by the end of the second lap. Van Gisbergen passed Whincup on lap five, the pair six seconds ahead by that stage, with Kelly getting past Caruso the next time around when the latter made a minor mistake. Losing the lead hurt Whincup, with the Safety Car called on lap seven when Garth Tander's Commodore lost power and stopped on the inside of the final corner. 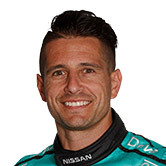 Having to double-stack, Whincup emerged in eighth, behind Kelly, Caruso, Mark Winterbottom, McLaughlin, Will Davison and Chaz Mostert, who had already stopped. 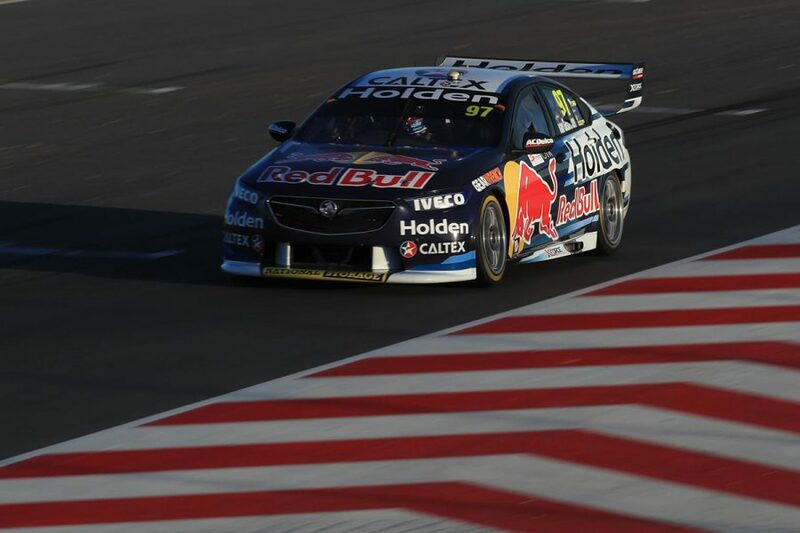 Van Gisbergen drove away again when racing resumed, to lead Kelly by two seconds with 10 laps remaining. 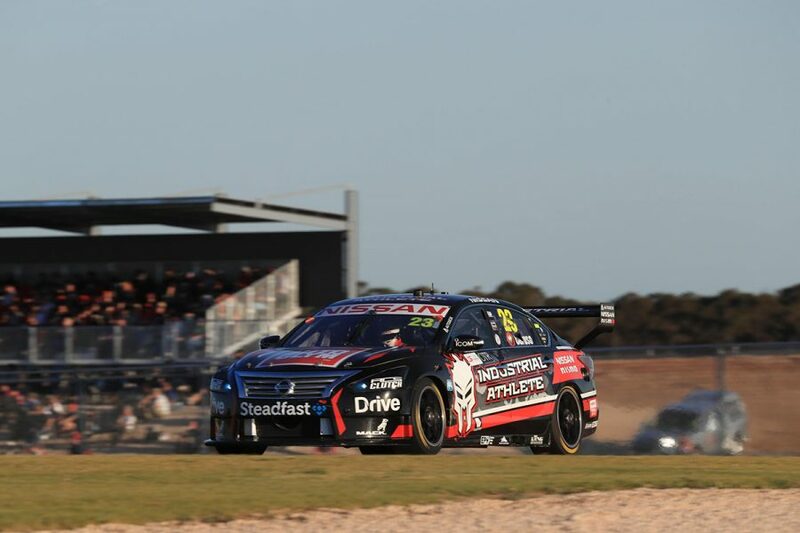 That gap was relatively stable until the closing laps, when van Gisbergen pulled further away from Kelly, crossing the line more than six seconds clear. 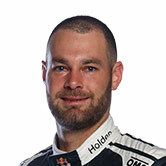 “Awesome race,” van Gisbergen said. “I had a good battle with Jamie at the start and then unfortunately he had to get put back. “Rick put a lot of pressure on and it was really good, but then it was about staying on the track, it was so hard, one line and very hard, but I just tried to behave. Kelly capitalised on getting ahead of Caruso before the pitstops and took his fourth podium of the season. A further three seconds back, Caruso made it a pair of Altimas on the podium, his first visit to the rostrum since winning at Hidden Valley in 2016. “It’s great to be back on the podium,” Caruso said. “It was tricky… there was more dust on the track than off the track, it felt like. Fourth place went to the recovering Whincup, who dropped to ninth on the first lap after the restart when he was passed by James Courtney. After that, Whincup methodically picked his way through the pack, re-passing Courtney, then getting Mostert, Davison, McLaughlin and finally Winterbottom. The best of the Fords was Winterbottom in fifth, leading home McLaughlin, Davison and Courtney, while Mostert and Craig Lowndes rounded out the top 10. Courtney and Lowndes were the race's two big movers, picking up 16 and 15 places respectively from 24th and 25th on the grid. 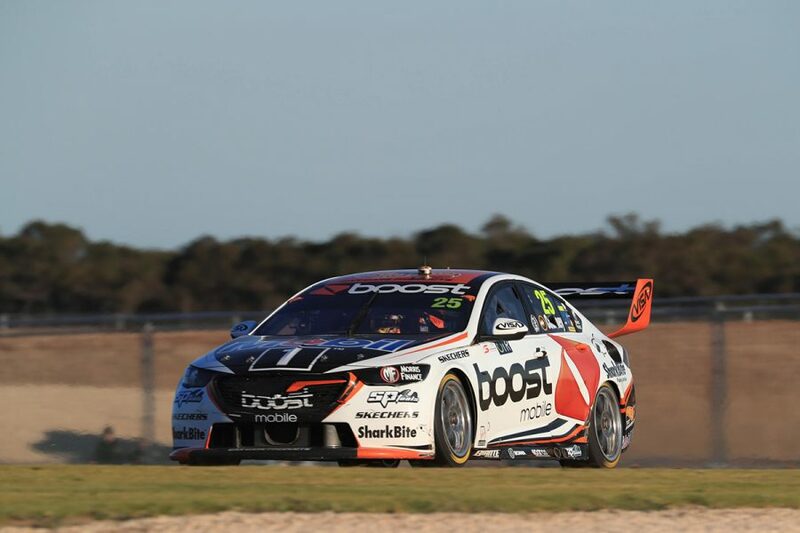 The run of Courtney in his Mobil 1 Boost Mobile Racing Commodore includes cutting his way up to 13th on the opening lap, then ninth after the pitstops. Lowndes was 13th at the restart, then picked up three more spots in the second half of the race. Brad Jones Racing pair Nick Percat and Tim Slade took 11th and 12th, ahead of Cameron Waters and Fabian Coulthard, who started 22nd. Jack Le Brocq was the first rookie home in 16th, despite a first-corner collision with Anton De Pasquale that dropped the pair to the back of the pack. Stewards will investigate the incident post-race, with De Pasquale finishing 24th. 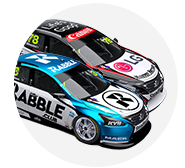 Wildcard runners Macauley Jones and Kurt Kostecki wound up 25th and 27th, split by Todd Hazelwood in Matt Stone Racing's first race since its Ford-to-Holden switch. Tander's troubles were with a crank-angle sensor, his Garry Rogers Motorsport Holden having been late to the grid with engine concerns. He returned to the track and finished six laps down.